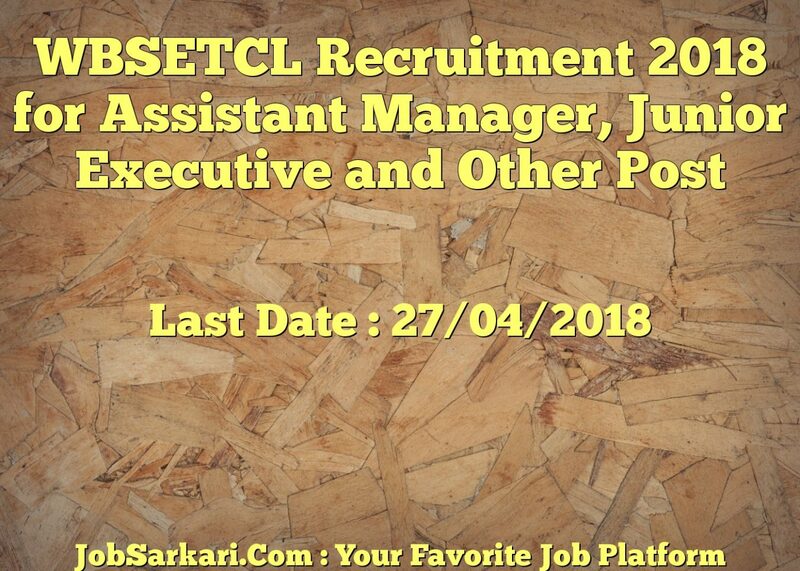 WBSETCL Recruitment 2018: 292 Engineer, Technician, Executive, Manager Vacancies; Apply Now, And Stay Connected For Upcoming Latest Alert On Exam Date, Admit Card, Question Papers, Answer Keys, And Result; Best Of Luck For Your Career. 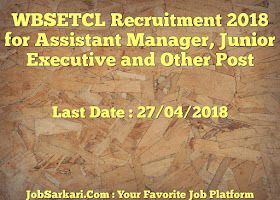 West Bengal State Electricity Transmission Company Limited, Invites Online Applications From Eligible Candidates For Recruitment Of Various Positions. West Bengal State Electricity Transmission Company Ltd Set Up In 2007, Wholly Owned By Government Of West Bengal, Is A Professionally Managed, A Multi-Sited Power Transmission Company In Eastern India. Candidates must have passed Madhyamik/ Matriculation/ 10th or equivalent examination and possess ITI in the trade of Wireman/ Electrician. Candidates must possess three years Diploma in Electrical Engineering. Candidates must be Graduate in any discipline plus two years full time Post Graduate Degree in Public Relations/ Journalism/ Mass Communication. Age Limit: Minimum 18 years and Maximum 27 years as on 01-January-2018. However, relaxation in upper age limit applicable as per government orders. SC, ST, PWD candidates are exempted from payment of application fee.